Marine Sues School After Finding Out They Forced Child To Study Islam. Who Do You Support? From the first formation of America’s constitution, the Founding Fathers have been adamant that religion and legislation should always be kept separate. This is in order to prevent any one religion from gaining power over the others, threatening lesser-practiced religions with discrimination. This is why many people believe that religion has no place in any mandatory affiliations in the public sector. It should not be used to dictate laws, should not be used to indoctrinate others without their express consent, and no one religion should be favored or considered better than any others. 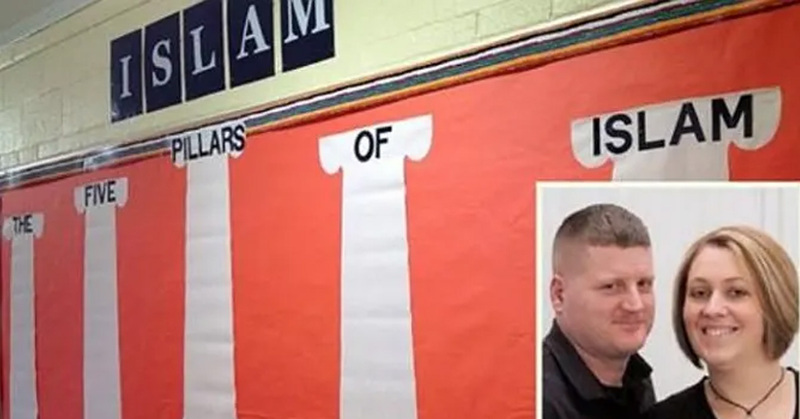 John Kevin Wood, an ex-Marine, was outraged when he found out that his daughter was being taught Islamic creeds and histories in La Plata High School, Maryland, her public high school. His daughter had been learning about the history of Islamic civilizations and countries and therefore was studying the religious reasons behind those nations’ laws. 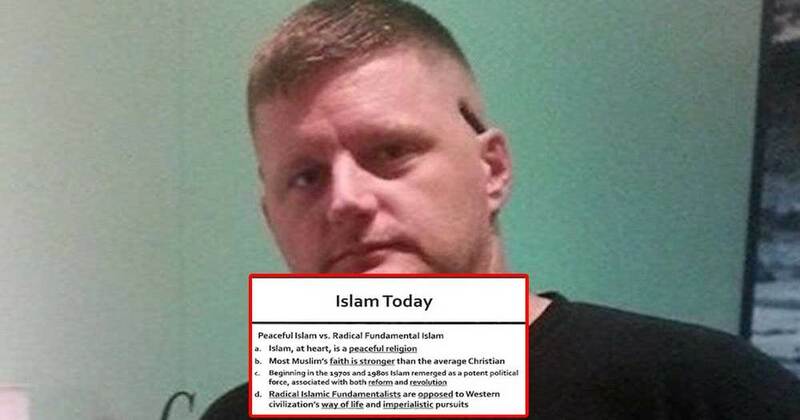 Students were allegedly forced to learn the Five Pillars of Islam and how to write out the Shahada, as well as a variety of other assignments. 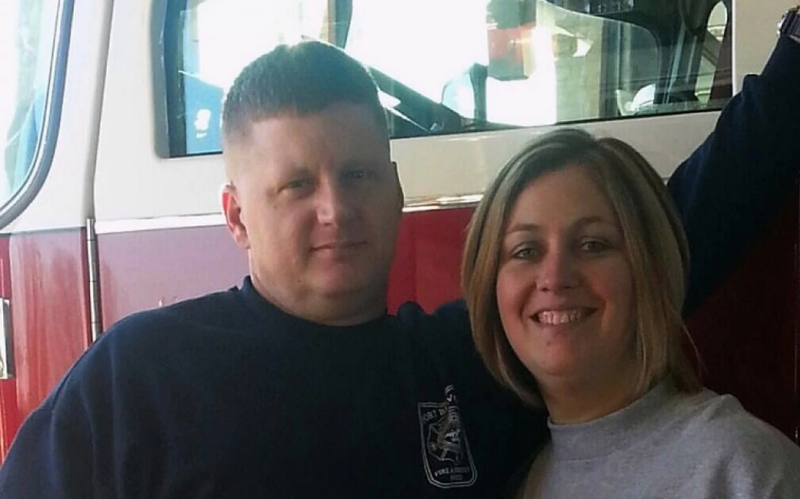 Wood and his wife were so enraged that they, alongside the Thomas More Law Center, decided to file a lawsuit. They stated that this Islamic knowledge had been force fed to their daughter, which upset them greatly since their family does not practice the religion. Many parents are in agreement that the high school’s assignments crossed the line by teaching students about Islamic values. But this lawsuit isn’t just focused on one institution – it was made against the vice principal and principal of the school, the Charles County Public School System, and even the bigger Board of Education. Wood states that his daughter isn’t just being forced to learn about the so-called foreign religion, but that Christianity in the school is being shown negatively. 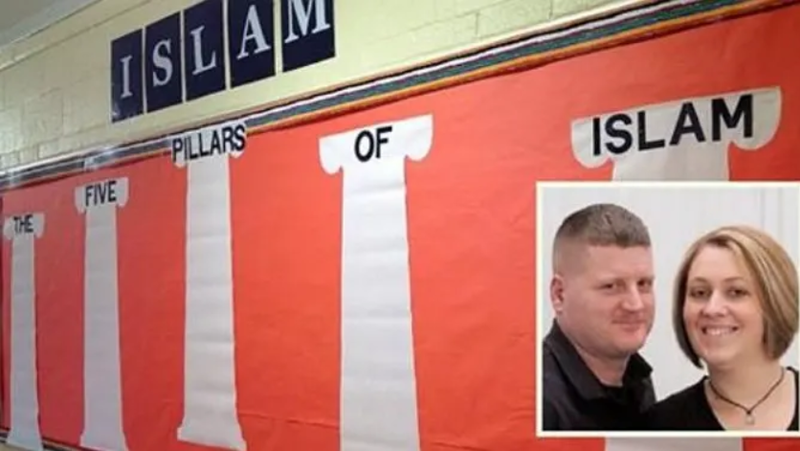 The lawsuit states that the heritage and Christian beliefs of students are being placed beneath the importance of learning Islam, and it adds that the school has responded in a hostile manner to Wood and his family in the process. 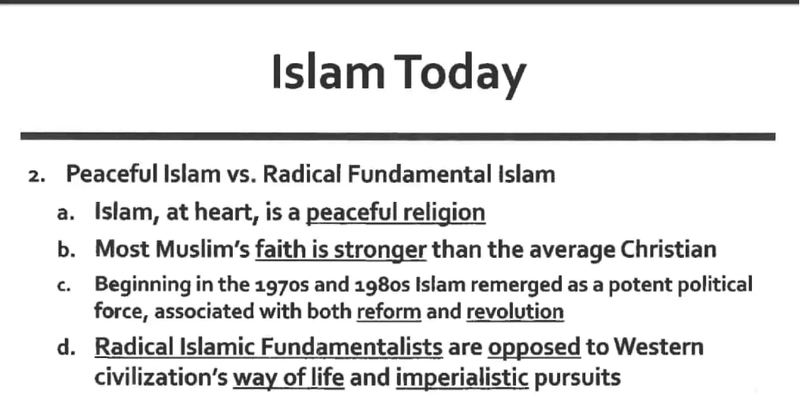 It alleges that Islamic indoctrination is what is occurring here and that it is something that should be stopped and never taught under the pretense of educating children about multiculturalism and history. Apparently, these lessons in Islamic values were taught in accordance with Middle Eastern history lessons, which are teaching students about the empires in the region and their formation. Students learn about the basics of the Muslim religious faith in order to understand how it contributes to the growth of those nations and civilizations. They also studied other factors, including geographic, political, economic, and cultural. Students also learn about the fundamental concepts of other religions in their classes. When learning about the development of Indian and Chinese nations, students are required to study some aspects of Buddhism and Hinduism. Similarly, when studying the Renaissance and also the Reformation, students learn about Christianity. This lawsuit was announced in January 2016 and has since been dropped. Should students be taught about religion in relation to the foundation of certain empires, or should it be excluded altogether?